Posted on October 15th, 2018. Have you ever been a mentor or a mentee? If so, you hopefully had a good experience and you may still have it going. If you haven’t, why not? You just might be missing out on a great opportunity to form a relationship that can bring you years of learning and growth. There are a lot of reasons for everyone to become a mentor or mentee. 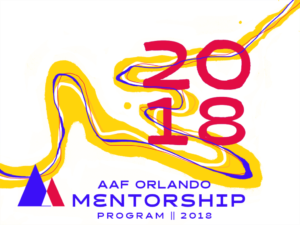 On the mentor side, it’s an opportunity to share what you’ve learned in both your career and your life with someone who could benefit greatly from your knowledge and experience. Helping someone younger learn how to navigate their career, their workplace and coworker relationships is one of the most valuable gifts you can pass along. Sharing your lessons learned over years of working and living can also help you with your own life perspective - and there is plenty you can learn from your mentee as well. The world changes constantly, and the youngest professionals are typically more informed about technology, social media and pop culture trends. Staying up with these can help you at work and help you stay connected to the constantly evolving world. On the mentee side of the relationship, you have the benefit of hearing from someone who has already experienced the years that are still ahead of you. Gaining a look at the future can give insight and ideas on how to approach your career and your life. You can get advice on the small things: how to prepare for an interview, how to clean up your resume, how to make your LinkedIn profile more effective. You can also gain great perspective on the big things: how to overcome rough workplace relationships, how to make yourself more valuable to your company, how to map out your career and make the most of opportunities. It takes some effort on both sides for a successful mentor-mentee relationship. You have to commit to making it work, you have to commit to meeting, calling or emailing on a regular basis, and you have to commit to giving it the dedication and time it needs to be worthwhile. I’ve been lucky enough to be a mentor, and I’ve gotten a lot of satisfaction from sharing my story and helping my mentee. I strongly urge you to become a mentor or a mentee and enjoy a great opportunity for a lifetime of growth. Volunteer for the AAF Mentor Program on our website HERE.